So this week there was two exchanges that happened I had Elder Fabiano with me at the beginning of the week and the I had Elder Johnson with me at the end of the week. They both were great exchanges! On both exchanges we found new investigators and got to talk to a lot of people. I learned a lot from both missionaries, it is so awesome to be able to focus on PMG I haven’t really done that my whole mission so it is nice to be able to repent and do better. Don’t get me wrong I got distracted by good things, like the Book of Mormon, Jesus the Christ, or the New Testament, all great things but it took my out of PMG. I have been learning so much this week by turning my focus to PMG, I know that it will help me greatly have the best last six months that I can. We found Paul and Georgiana by talking with everyone and not missing an opportunity, especially with Paul. Paul was in his BackYard behind his fence. Luckily Elder Johnson is the height of a skyscraper and could see over the face from across the road. He was able to say hi and get him to come up front to talk with us. Boy was it funny for me when he started talking to someone and I just started looking to who he was talking to and couldn’t see anyone. He was a very nice guy and was very sincere about his willingness to see if what we teach is true. Sadly this week didn’t end on the best of note. We had three of our Recent Convert to the ward not take the news very well. They will not be coming to church anymore as of now. We have done all we can on our end and have informed the Bishop of what we know and have heard. Now all we can do know is pray. I first heard about the news Saturday Morning at 11am, Satan immediately tried to bring doubt into my mind. I knew that I needed to receive a witness from God, I prayed. The first witness that came to me is that I knew that the church was true and that was enough for that small moment. But I kept a prayer in my heart want to knew that this exact thing was of God, I knew that as I would press forward knowing the knowledge of what I knew I would receive truth. It didn’t come until later that night,7pm, after hours and hours of prayer and moving forward with faith knowing that I did know that the church is true and that God is at the head. That truly is the way that we need to move forward to receive the greatest revelation, we receive answers by the prayer of faith not the prayer of doubt and disbelief. Now that is not to say that you will never receive answers if you have any doubts at all, but the more light and greater knowledge comes to those that are moving forward towards the light not stepping away or turning from it. I know that God is in control of His church, I know that Satan is in the world and trying to destroy everything good that he can. He is turning the world against God and making his laws look like they are old, out of date, not actually going to bring us joy, or hate others. Satan is increasing his work and pulling so many with him. Always know that God answers prayers and He loves His children. I love this church and the steps that they are taking to protect the laws and family of God. I love you all so much. Please Pray and know that God loves you and his Children. Progress, I like progress; it feels nice. I’m sure y’all probably agree with me. Here are some updates on some names that you probably remember. Trevor: Trevor is really getting back in his groove and then some. He has come to mutual three weeks in a row now and he even came to church on Sunday. His friend Wittney Garçon (He is someone we have been trying to get back into contact with) also came with him on Wednesday and Sunday. We were blessed with some kind members who helped us give them rides so we didn’t have to walk with them there; however, we were willing to do that if necessary. They had a great time and hopefully we can step up the fellowship for them. The youth program here is really small so they are pioneers in many ways. Michelle: She came to scripture class again and even surprised us by bringing her daughter, Victoria, and her daughters boyfriend, Chandler. Victoria was super engaged and participated a lot in the discussion. We are going through the Book of Mormon chapter by chapter and we were on 1 Nephi 15. The discussion really kicked off when we began teaching the gospel of Jesus Christ. Victoria had such a good experience that she came up to us afterward and asked, “can I keep this Book of Mormon?… Here take down my number I am going to have some questions… Alright so how do I read this and where should I start?” It was pretty awesome to see her jump right on board. A couple days later we went to see Michelle at her place and she made us breakfast for dinner. Chandler was there and we got to know him some more. He is about to start school to go be a doctor. The greatest news was that we found out that Victoria wanted to go to church on Sunday. She showed up with Chandler and they had a great experience. It is good to see some people make those steps that we need to be seeing. We have some others that we are working with but these were the ones who made the most progress this week. An awesome little miracle happened after a great experience at the hospital on Friday. We went to the hospital to administer to three afflicted members of our congregation. When we parked we realized that we needed $2 in cash to pay the toll, but we both only had our debit cards. We figured we would just not worry about it, and that we could take care of that after the blessings. Two of them were quick in and out visits, but with one lady we stayed and talked for almost 45 minutes. Her cousin was there and it sure was a hoot talking to them. It was nice to help her take her mind off the cancer for a few minutes. She was missing her son especially because the day before she found out she had cancer he was deployed over seas. She asked me to give the blessing and it was a great opportunity for me. During the blessing a very sweet spirit entered to room. She started to cry and said that it really helped and that it made it feel like her son was there. On Sunday she was able to make it to church and thanked us both again for the blessing. After the visit we got off the elevator on the first floor and tried to figure out where we could go go get some cash. Right then one of the employees said, “Are you lost elders?” We responded with “You must be a member. What Ward are you in?” He told us that he was in the San Jose Ward (Spanish Ward). I had actually met him before when I was serving in Hendricks Ave. He opened up his wallet and he pulled out $2 and said, “It is all I have.” He smiled and then walked away. I looked down at the cash in my hand, just amazed about God blesses us in the most personal ways. That was a really good day! I love y’all and hope you have a wonderful week! This week was a wonderful week! I had a lot of tender experiences that really made things very enjoyable. I did an exchange this week on Wednesday back in my old stomping ground of Deep Creek. Luckily for me the plans had us going to the home of my old ward mission leader Br Strattan. I love that family so much they definitely have enriched me mission experience! It was like I never left when i saw them. After catching up for a bit Elder Francom who I was with got to work getting some info on some referrals while Sister Strattan had me add myself to a group for the Deep Creek ward that shows how everyone is related. I found out that Sister Strattan was my 8th cousin and that Betty Hicks, a black sister in the ward who was recently baptized is actually my 6th cousin. It was a funny moment to learn that, but really awesome at the same time. Betty was one of the first people I met when I got to Deep Creek. We had a great day there though and were able to get a lot of work done. At the end of the night we had a lesson with a girl that I met the last time I was there about 6 weeks ago. They had been struggling to get a solid lesson with her since then, but we were able to sit down and have a very powerful lesson with her. We laughed at the thought we would just have me come every 6 weeks and help teach her. 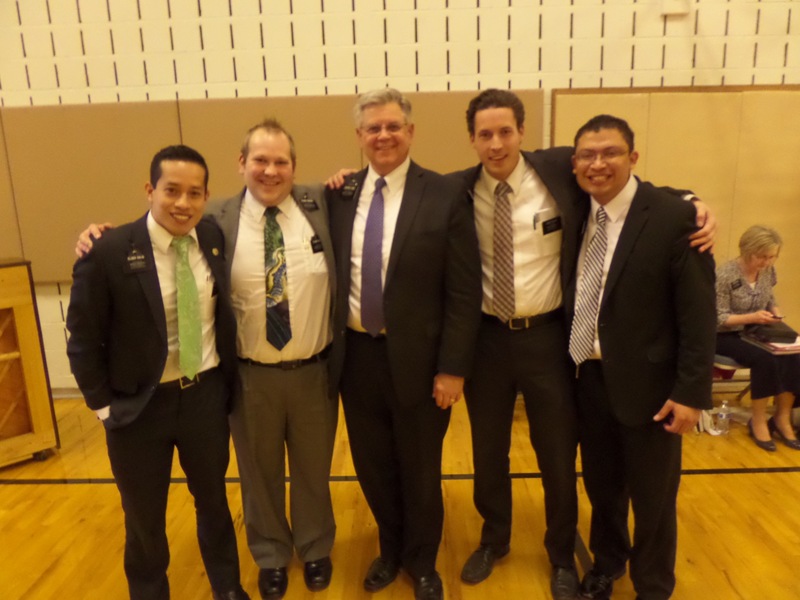 On Thursday I was in Georgia with the incredible Elder Welsh. 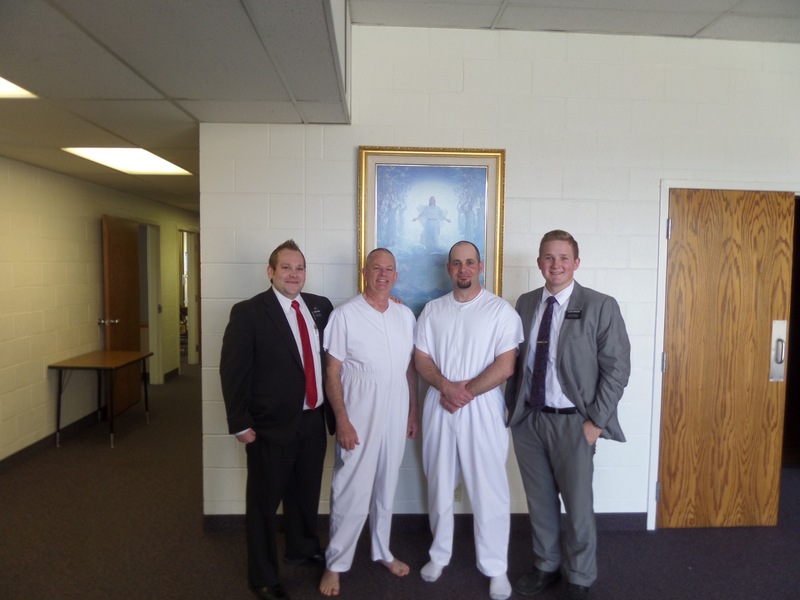 He is one of the best Elders in the mission and I was grateful to be able to spend the day with him. We had an awesome experience after trying to contact a less active member. After noticing that the family who we had an address for had moved we began knocking on the neighbors doors. After a few doors a school bus showed up and dropped off some kids. These two boys were teasing these girls and one of them was crying while her sister was walking with her back to there house. Turns out that Elder Welsh knew these girls because they are the daughters of a member and the older sister had been to church a couple of times. They told us that the boys were teasing them and one of the boys took an old can of vienna sausages (which are gross to begin with) that he found on the ground and opened it up and threw it at one of the girls. Not too much got on her but nevertheless it was completely unacceptable. After showing the girls a quick video on Jesus Christ we walked over to the home of those boys to invite them to repent. One of them timidly opened the door, he was probably 15 and less than half my size. He wasn’t the major trouble maker though, his cousin who was hiding behind him who was 18 couldn’t even look us in the eye long enough to answer our questions. We proceeded to teach them how unchrist-like their actions were and if they ever wanted to amount to anything in life they would learn quickly to grow up and be real men. Hopefully, an ounce of that sunk in. As we finished up with that the girls mother had arrived home and had been informed of what we were doing. She was very impressed and was very open to hearing our message. Prior to this moment she was very against the idea of becoming a Mormon or even associating with Mormons. By the end of our lesson with her we had her and her daughters all excited about the idea of getting baptized and return appointment to teach them as a family the next day. On Sunday we had Stake Conference. 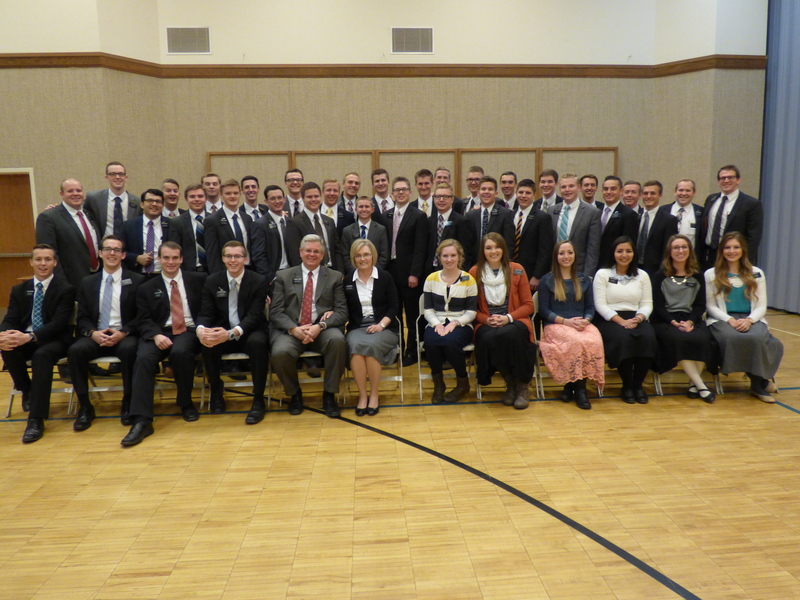 The building of the Hendricks ward is my Stake Center so I was able to go and say hi to all of my old friends. It is so nice to be able to maintain such a close relationship with my recent converts. In that meeting I had two recent converts in the Hendricks Ward, Solomon Deng and Jim Colney, be sustained by the stake to be ordained to the office of Elder. Solomon wasn’t able to be there that day but Jim was, and my old Bishop was so kind to think of me that after the meeting he went and found me so that I could help with Jim’s ordination. I had no idea that I was going to be able to have that opportunity, but it was definitely a very special moment for me. God has been so good and to give me many tender experiences this week and I know that he loves me very much. It never ceases to amaze me how personal of a relationship that we can have with our Heavenly Father. My mother pointed out in a letter a couple weeks ago that God will bless us very specifically and personally if we are ready to receive those blessings and I can testify that this is true! I hope everyone of you can look for ways that the lord has specifically blessed you this week and make sure to give him thanks for those blessings! I have come into an area that, for some time now, missionaries have not been truly teaching the people that they have been seeing. They have been building friendships but havent been really teaching. Not that we shouldnt be trying to form friendships, but that comes with teaching the restored gospel and seeing their lives change and their minds open to truth. So this week was spent going to everyone that has just been “visiting” and setting the expectations of why we are really there. We have been called by a prophet to teach the gospel. We have been given priesthood to accomplish that call. We have the message of the restored gospel that gives the truths to this world and answers the questions of the soul. We have been tasked with that responsibility and if we are not doing things that could lead to teaching, or teaching when people are there to listen we are not doing what we have been called to do. I am very excited for this new change in my mission. I have a companion that is 24 years old and we are learning so much from each other. We are gaining member trust back in the ward and showing them that we are missionaries that are living up to our call. I am so grateful for your prayers and support. You are all in my prayers.